J. R. R. Tolkien (1892–1973), Bilbo comes to the Huts of the Raft-elves, July 1937, watercolor, pencil, white body color. Bodleian Libraries, MS. Tolkien Drawings 29. 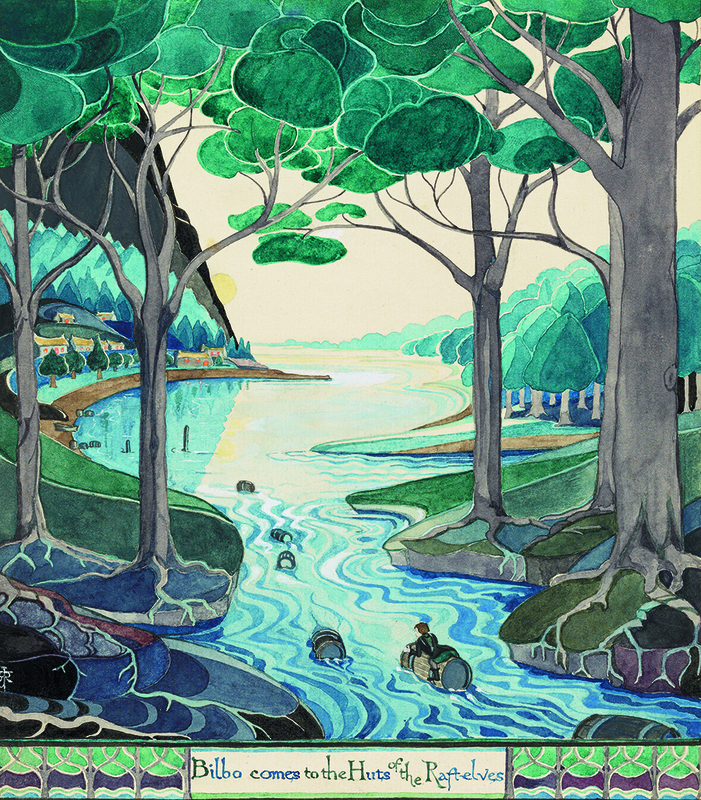 © The Tolkien Estate Limited 1937.